Confetti Balloons - Gold - Oh Baby! 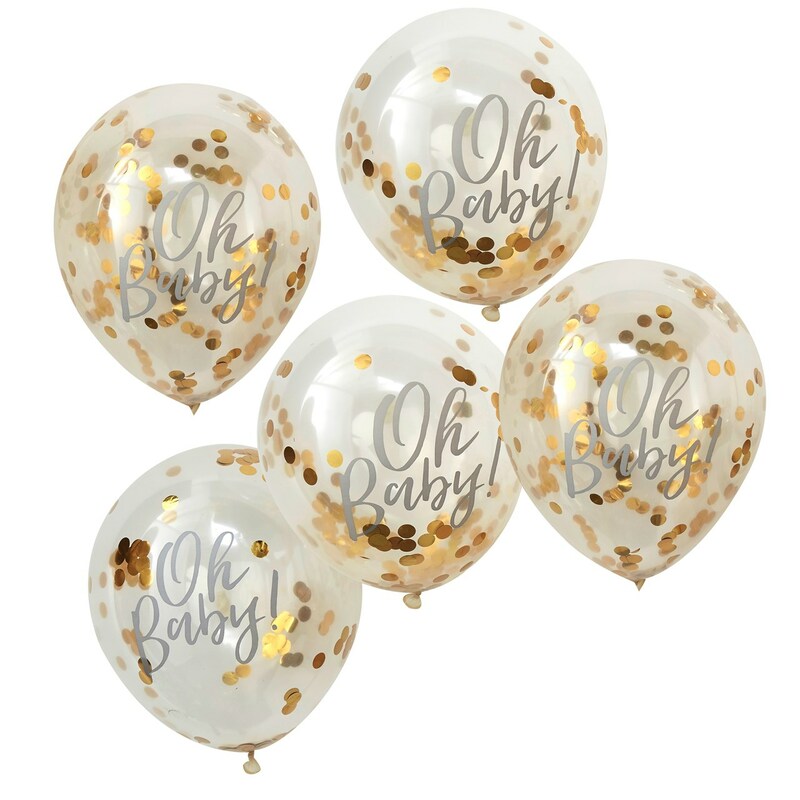 Our ""Oh Baby"" gold confetti balloons are a great way to decorate any room. The gold confetti shines away inside the balloons adding sparkle to your baby shower. A stunning focal point - These balloons are very stylish and will be loved by everyone. Blow these balloons up with helium and air, then shake to wake the confetti. Each pack contains five confetti balloons measuring 12"" (Diameter).